Battlestar Galactica’s cylons are among my favorite robots and while I prefer the original 1970s cylons, I have a healthy appreciation for modern toasters too. 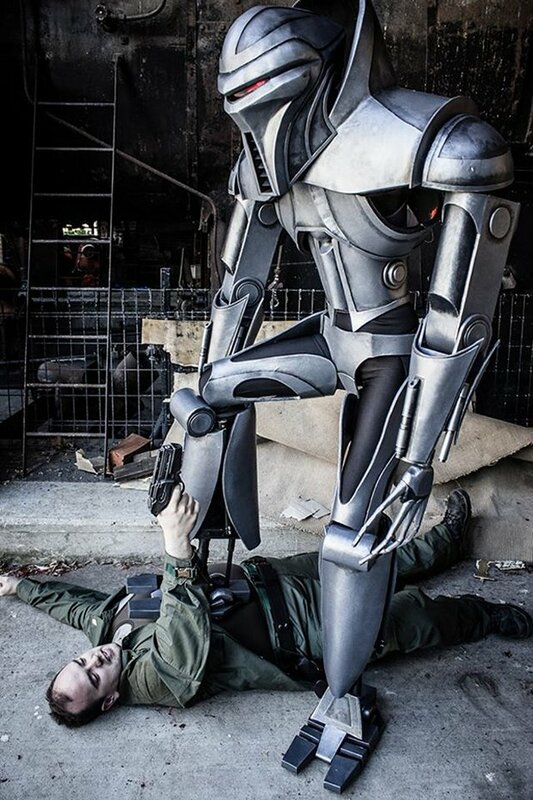 This Cylon Centurion costume was made by Kendall Bailey. 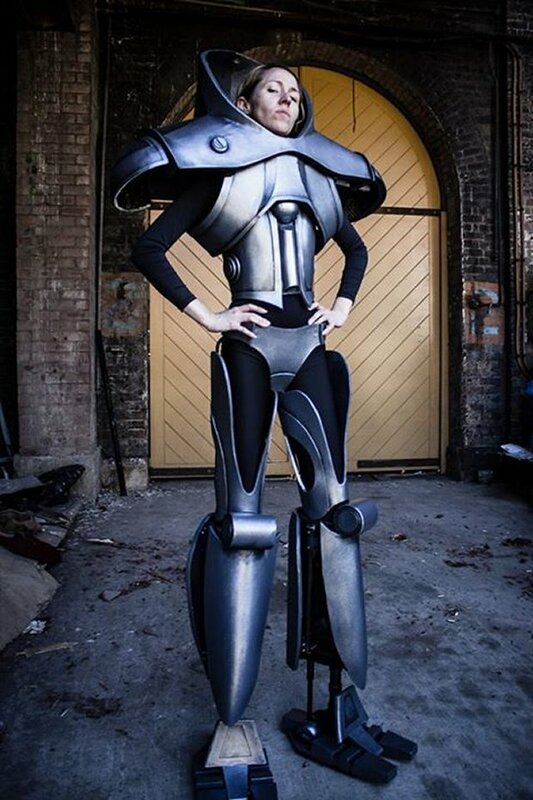 She made this outfit from scratch, which is amazing because it looks just like the ones we’ve seen on screen. In other words, awesome and terrifying. 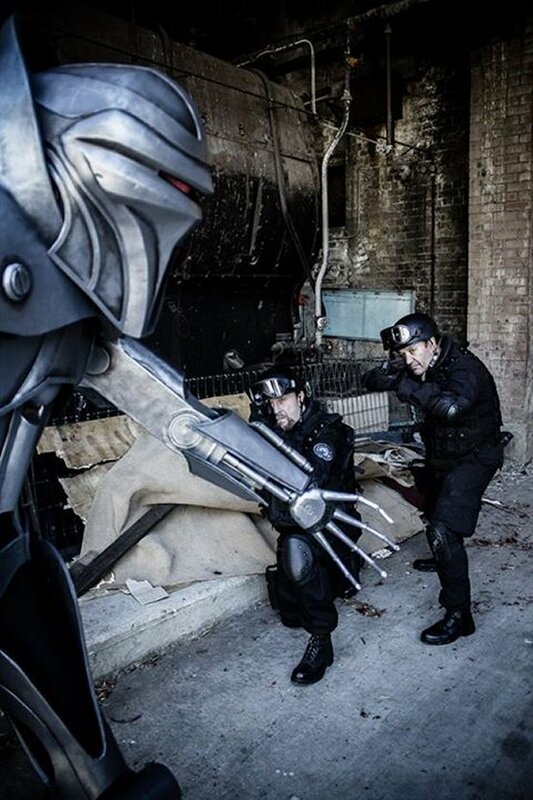 I makes me want to run away screaming, “The cylons are coming! The cylons are coming!” Frakkin’ toasters! If I weren’t so busy running like a coward I would shoot you in the eye with my blaster! Lucky for you I run real fast. This costume makes my frakkin’ day. Great job, Kendall.